Welcome to your one stop destination for all Backpacks, Laptop bags, College bags, School bags, Conference bags, Office Bags, Gym bags, Travel bags, Trekking bags, Duffel bags & Suitcase trolleys. – we’ve got you covered all types of Backpacks! 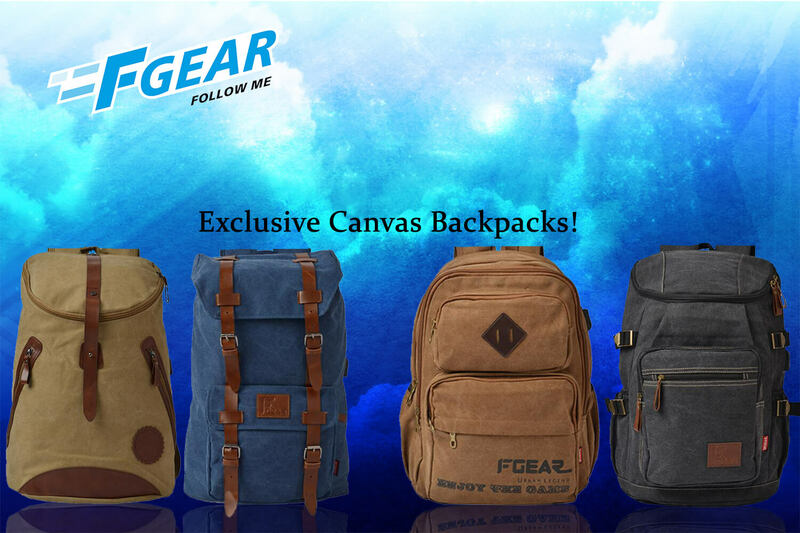 Browse through our bestselling ranges of internationally recognized performance AntiTheft Backpack, Canvas Backpacks, Leatherette Backpacks, Laptop Backpacks, College Backpacks, Trekking Backpacks, Duffel, Suitcases & Accessories. Amazingly handy utility accessories and more! Each F Gear product undergoes stringent quality testing for across all parameters including strength, durability and finishing. Designed keeping in mind the all Customers & Weather conditions, our products are suitable for all age groups. So go on!! – Put yourself in the Fast Gear and be Ready For Anything. We are one of the Leading manufacturers of Backpack bags in India with factory located at Bangalore.